Summer may not have “officially” begun until June 21, but that didn’t stop the Best Start Northeast Valley Community Partnership from putting together an amazing seasonal celebration. Dozens of happy families descended upon Pacoima Charter School on June 13 for a day filled with learning, laughter and live entertainment. 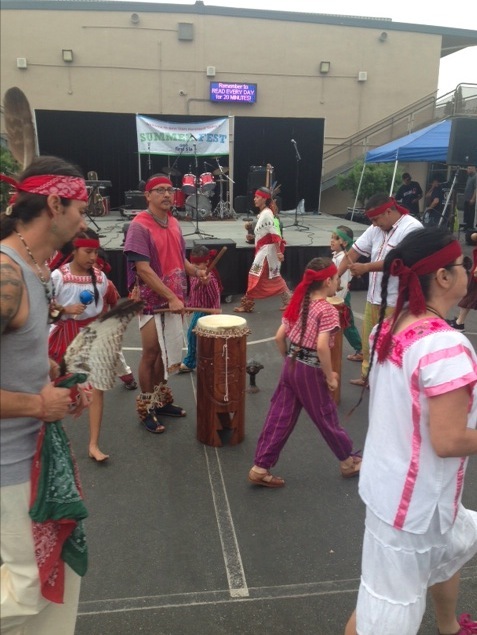 This “Summer Fest” event was part of a larger effort on the part of Best Start, which has established Community Partnerships throughout 14 regions of Los Angeles County. These partnerships are composed of parents and caregivers, residents, organizations, businesses, government institutions and other stakeholders who work to collectively build a vision and develop and implement strategies to create the best possible community for young children and their families. Over 35 organizations participated in “Summer Fest”, with designated booths offering information and free handouts. Attendees were treated to everything from first aid kits, to coloring books, to children’s toothbrush packs. There were also education stations informing guests about services from local hospitals, free dental and glucose screenings, and police stations and fire departments. Younger attendees were particularly drawn to the LAFD exhibit, which featured a full fire truck where guests could sit and pose for photo opportunities. Other interactive exhibits included painting activities from Friends of the Family, cholesterol education from the Northeast Valley Health Corporation and Scholastic book reading exercises from the Los Angeles Public Library. Of course, no summer festival would be complete without a good old-fashioned cookout. Multiple food trucks participated in the event as well, offering guests fresh-made Mexican food, shaved ice and Texas-style BBQ. There was also a full-service grill, where hungry community members could load up on hot dogs, chips and ice-cold sodas. As First 5 LA Communications Officer Sheila Rodriguez explained, every booth and activity was meticulously planned. Several of the day’s most talked-about moments came from the “Summer Fest” live stage. Throughout the morning and afternoon, singers, dancers and musicians took the stage to entertain the cheering crowd. Comedian Victor Vasquez performed Master of Ceremonies duties, introducing acts ranging from traditional Aztec performers to Zumba hip-hop instructors. Best Start Senior Program Officer Manuel Fierro explained the strategy behind the day’s lively lineup. 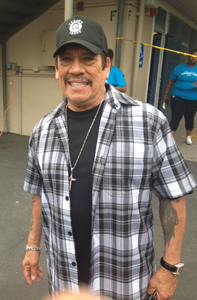 Without a doubt, the performer who drew the biggest response was surprise guest Danny Trejo. One of TV and film’s most recognizable faces, he took time out of his very busy shooting schedule to make an appearance and promote community involvement.